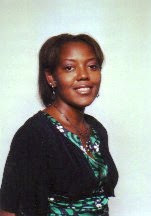 I just heard that my mentor, Lacresha Hayes, has been hospitalized for several illnesses. This woman has been such an inspiration to me. She is the reason why I gave my life to Christ. I'm asking everyone to please pray for her in this difficult time. Surely, she won't die when she has so much more life to give.